The 2706B is a versatile manual-ranging DMM with temperature measurement. The 2000 count LCD has a bright blue back light that allows the meter to be used in dimly lit environments. With the auto-power-off feature you won’t have to worry about accidental battery consumption. 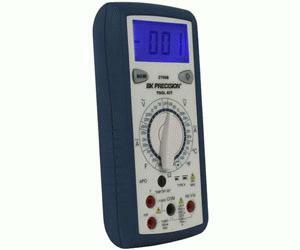 Value-packed features make this meter a must in every "Tool Kit®".